When property and lives are at uncertainty where you require gas detection equipment which is fully reliable. For over 40 years, Crowcon has manufactured and developed great quality products with the reputation for technical innovation and reliability. 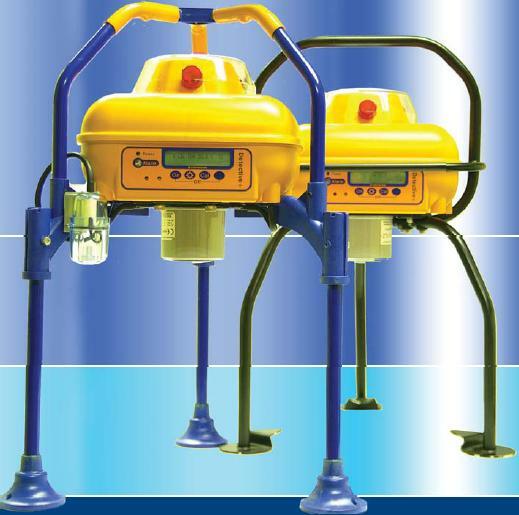 Crowcon offers both multiple and single gas gas monitors for portable and personal safety applications, giving protection from the wide range of industrial hazards of gas. For use in utility, gas applications and oil, the Detective Plus owes its design to the hugely successful Triple Plus Multigas Monitor. The Detective Plus provides a clear and loud alarm, offering a very effective warning of the gas hazards. It is a good choice for the transportable needs of gas detection. The interconnecting cable that connects Detectives and Detective Pluses can be replaced by the Detective Net, which is a wireless module that will transmit both gas alert and other types of signal wirelessly, using a 433MHz signal. This can be completed with up to 100 metres of distance. Using the proven RICOCHET mesh network, the Detective Net even selects the best line automatically in order to provide the strongest interconnections. Should the connection between two units weaken or fail, the Detective Net will automatically re-route communications using alternative RICOCHET enabled devices. This creates a mesh type network that offers a more robust wireless network.